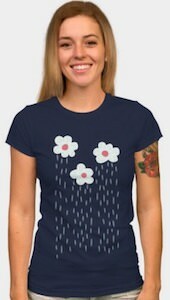 If you are looking for a fun go to t-shirt that shows heart and flowers then look no further. 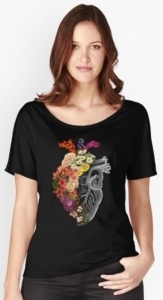 On the front of this scoop neck t-shirt you will find a very unique heart that is a grey line art image of a real heart with half of the heart completely covered in colorful flowers giving this one amazing look that pops off the t-shirt. 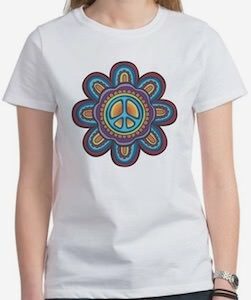 This wonderful women’s t-shirt is a scoop neck and a relaxed fit style, It is available in a wide selection of sizes that range from XSmall to XL and you get a great choice of 7 different colors Black, Turquoise, Navy Blue, Purple, Crème, Heather Grey and Charcoal Heather Grey. 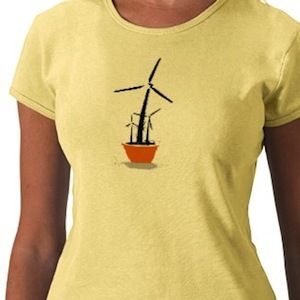 If you like choker necklaces and want a unique t-shirt then this is it. This is a black t-shirt that has a low neckline almost like a v-neck but above it is has a choker as part of the t-shirt. And you can choose to wear it as a normal shirt or you can knot it up and then it will be a bit like a crop top. 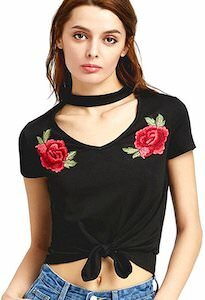 The black t-shirt is made from 100% cotton but the embroidered flowers are polyester and you will find two roses on each side giving it the color this special top needs. 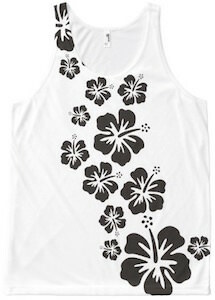 This Hibiscus flowers tank top is perfect when you want to show flowers on a hot summer day. This tank top is white and available for both men and women. On the white top you can see black blooming hibiscus flowers and the run from the bottom to the top on both the front and the back making this something to look at from all angels. 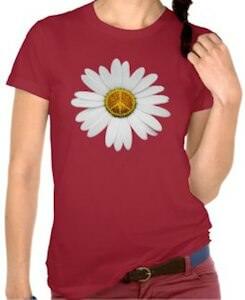 You can get this flowery tank top in unisex sizes XSmall – XL and it is made from 100% soft polyester for the perfect fit and feel. 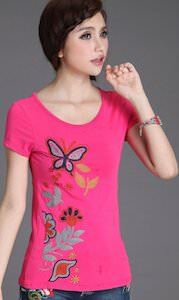 Brighten up a droopy day with a fun tank top that has flowers on it like this one.